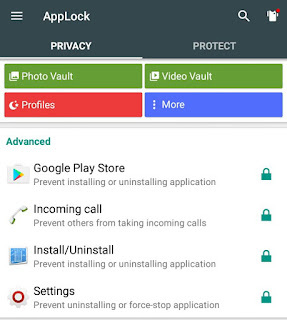 AppLock is one of the best app locker tool for Android which allow users to prevent apps from unauthorized access. It can lock almost everything in your phone. For example, you can lock all those applications which contain your private data such as Gallery or WhatsApp, so that no other person can access them without your permission. You can also hide your private photos and videos from Gallery. Although AppLock security is very tight but there is nothing like 100% security. Almost any system can be hacked. There is a method by which you can unlock any locked app without password. Guess how? It's possible by uninstalling the AppLock. If there is no AppLock, so no password is required and thus you can access any locked applications directly. Note: If you are using an older version of AppLock, then first update it from Google Play Store as latest version has many new features and it's more secure. First launch the AppLock and unlock it with a pin or pattern password. If you're using it for the first time, then draw the pattern and type your security email address. This will be your default password. Next tap the small lock icon next to the Settings option (Under Advanced section). You may be asked to give app usage permission in Settings. That's it. In the latest version, AppLock has added a new feature which lets you prevent installing and uninstalling of apps with password protection. When someone will try to uninstall AppLock in your phone, they have to unlock the password to proceed. To enable this protection, again open AppLock and tap the small lock icon next to the Install/Uninstall option (Under Advanced Privacy section). Now try to uninstall it again and you will see a password protection there. First open AppLock and go to "Protect tab → Magic → Hide AppLock". Here read the instructions and switch on the button to hide the icon from home screen. 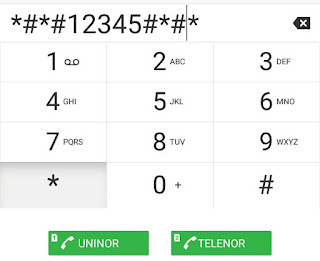 Go to Phone app and type *#*#12345#*#* in dialpad. It will automatically open the AppLock. Sometimes you need to press the call button. Open any of your favorite browser (e.g: Google Chrome) and go to domobile.com/applock. Now follow the on-screen link to open it. This method needs an active Internet connection. Open AppLock and click "More → Advanced Protection". Now follow the three steps process to activate this plugin. First you have install it from Google Play Store. Then give it administrative rights on your phone so that it can control more system functions. 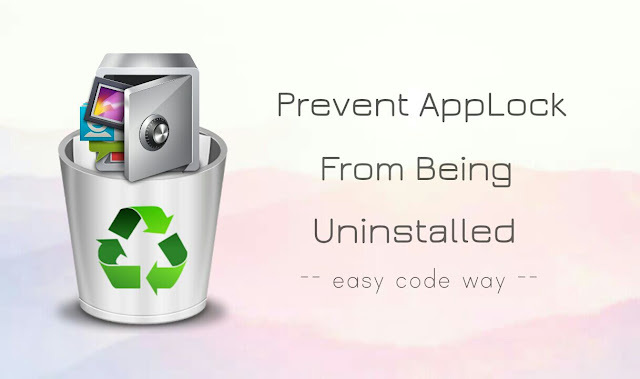 If you will use all these methods, then I am 100% sure that no one can uninstall or kill AppLock in your phone. Is there any other better way you know? Please do share your views in the comments section. U said that we should lock install / uninstall..
what should i do ...?!! I love Applock, but as a downloaded app and not a built in system app it takes a few seconds to load after restart. This is this the problem! Because this pause allows anyone to quickly go into settings and remove Applock as an administrator and then remove altogether, even with the supposed added protection. It's about time that phone makers buil in their own system applock than can only be removed by a PIN.